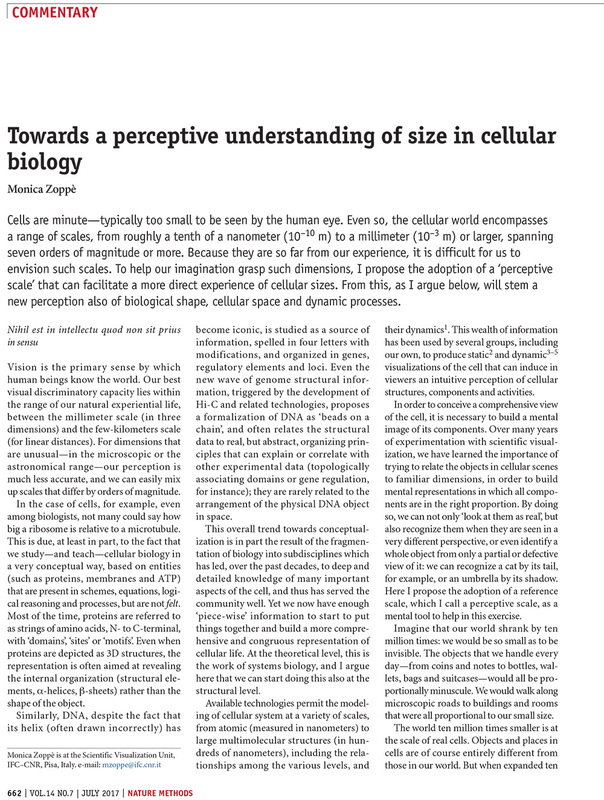 Towards a perceptive understanding of size in cellular biology. 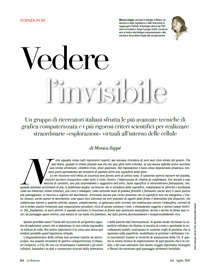 Comunicare l’invisibile. 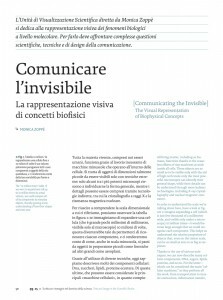 La rappresentazione visiva di concetti biofisici [Communicating the Invisible- The Visual Representation of Biophysical Concepts]. 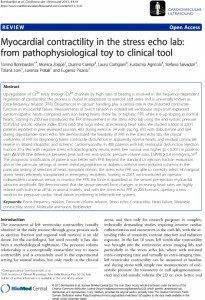 Myocardial contractility in the stress echo lab: from pathophysiological toy to clinical tool. 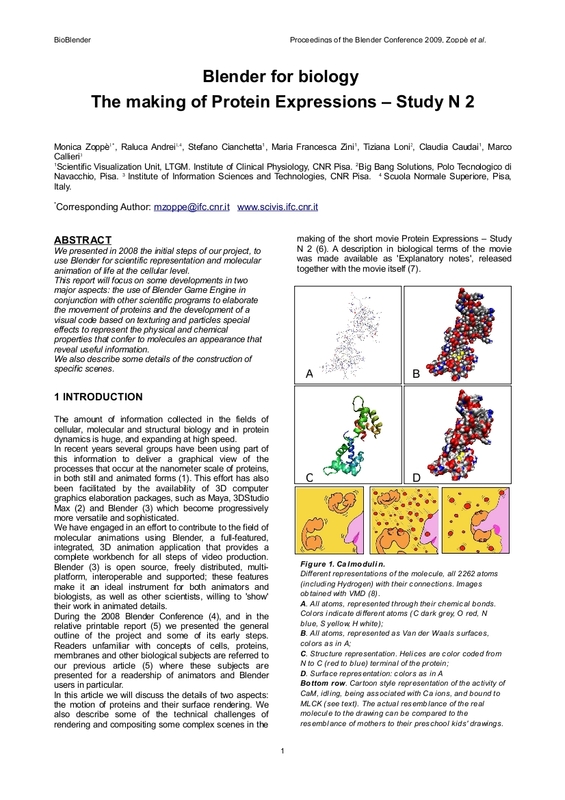 Intuitive representation of surface properties of biomolecules using BioBlender. 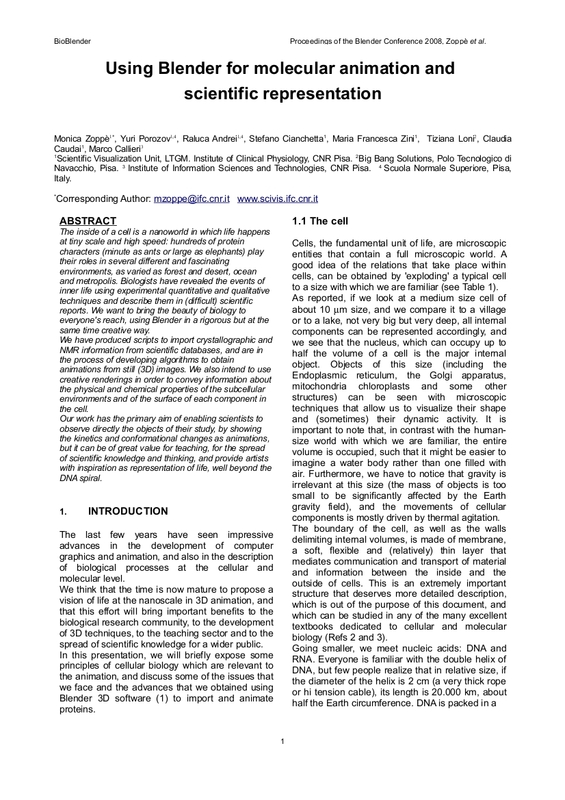 Andrei R. M. et al. 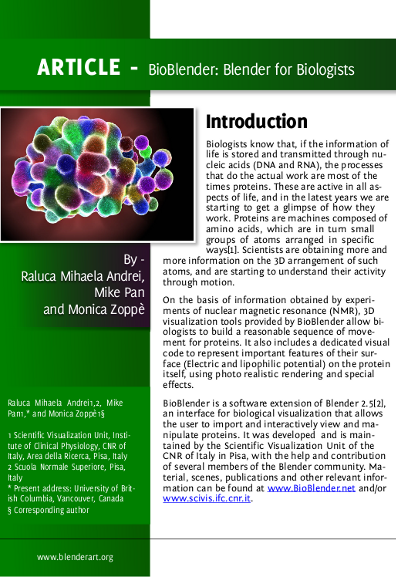 BioBlender tutorial by Raluca, Mike and Monica. BlenderArt magazine N.31, in December 2010. 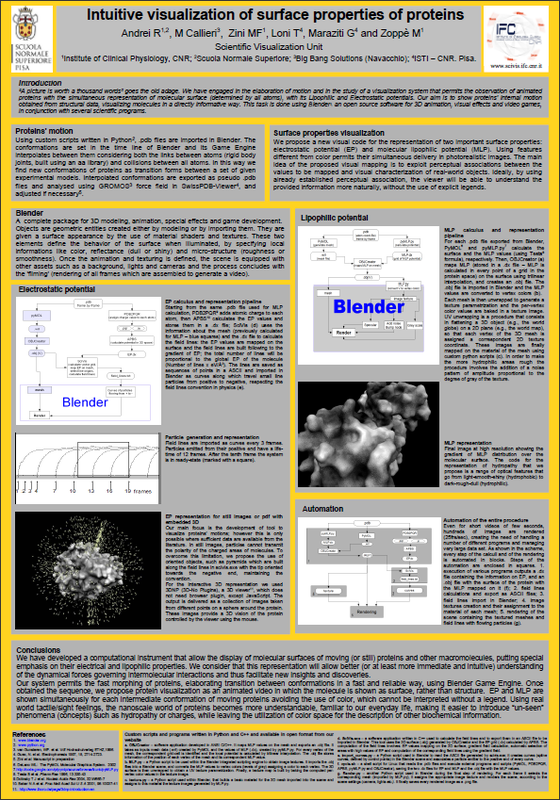 BioBlender: Fast and Efficient All Atom Morphing of Proteins Using Blender Game Engine. Poster. Andrei R. et al. 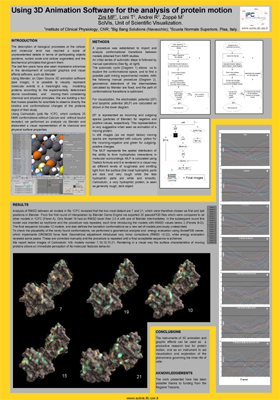 Visualization Methods for Molecular Studies on the Web Platform. Proceeding of the Blender Conference, Amsterdam 2009. 22 – 26 October 2009. Amsterdam, the Netherlands. Poster. Zini M.F. et al. 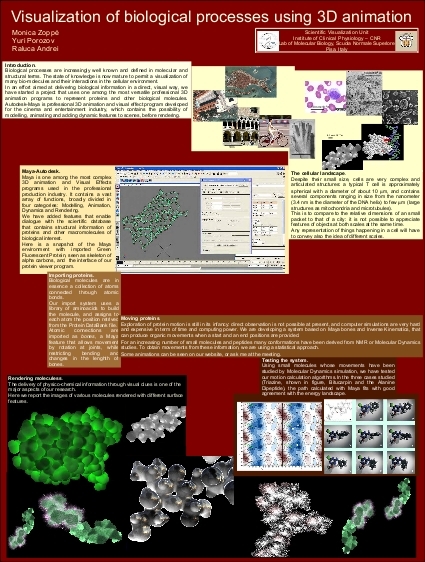 Blender for biology: Game Engine for molecular animation and special effects for chemical and physical behavior. Gordon Research Conference 2009. Visualization in Science and Education. Revealing Nature, Generating Insight 26-31 July 2009, Magdalen College, Oxford, United Kingdom. ISMB ECCB 2009. 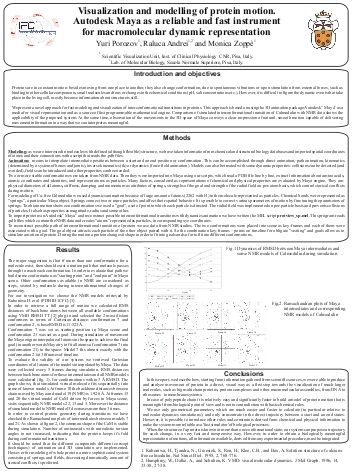 17th Annual International Conference on Intelligent Systems for Molecular Biology – 8th European Conference on Computational Biology. 27 June – 2 July 2009, Stockholm, Sweden -capo-A live presentation of this poster can be seen here. Poster. Porozov Y. et al. 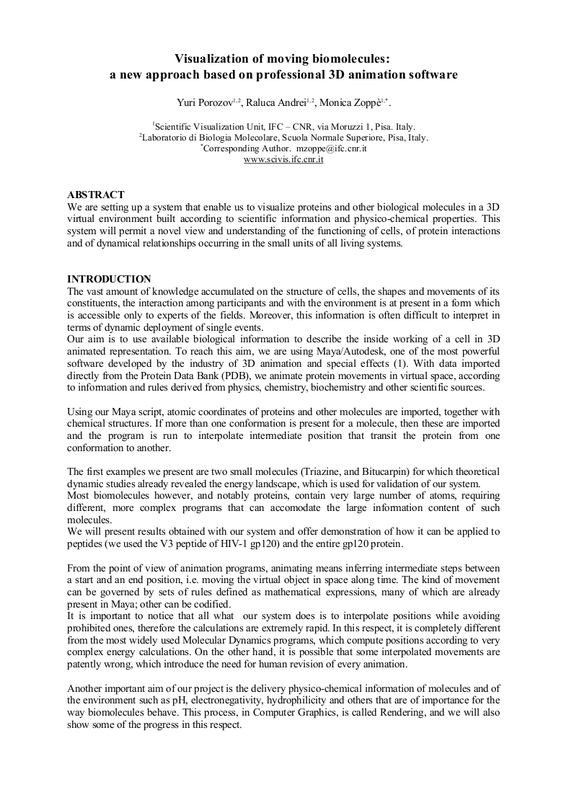 Visualization and modelling of protein motion. 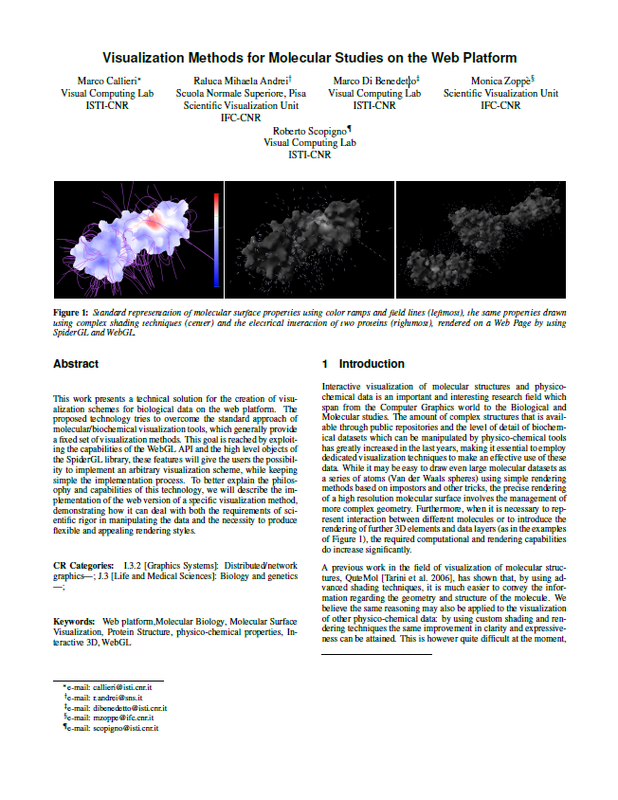 Autodesk Maya as a reliable and fast instrument for macromolecular dynamic representation. Using 3D Animation Software for the analysis of protein motion. Using Blender for molecular animation and scientific representation. Proceedings of the Blender Conference 2008. 24 – 26 October 2008, Amsterdam, the Netherlands. A recording of the presentation at the Conference can be seen here. Visualization of biological processes using 3D animation. GARR Conferenza 2007. Network Humanitatis. Un filo di luce che unisce il sapere. 29 – 31 Ottobre 2007- Teatro Palladium, Roma, Italia. Gordon Research Conference 2007. Visualization in Science and Education. 1 – 6 July 2007, Bryant University, Smithfield, RI , USA. 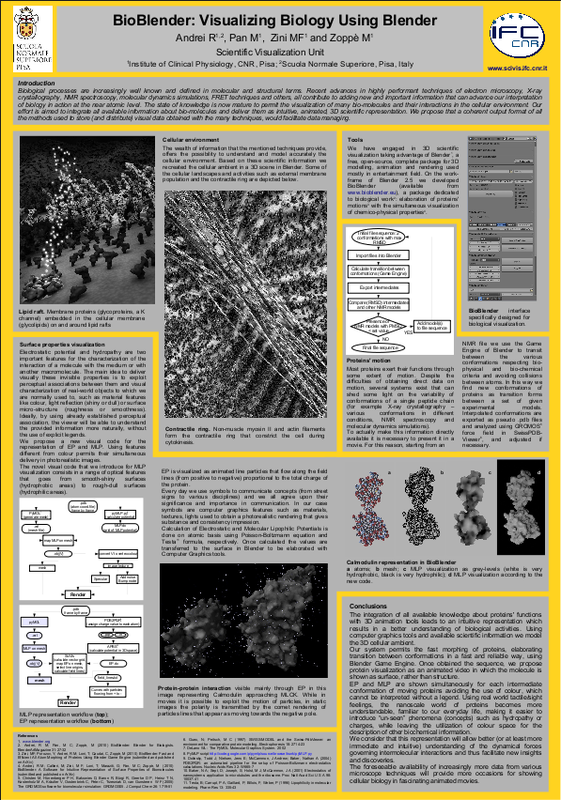 3D visualization of biomolecules: representation of surface properties. ISMB-ECCB 2007. 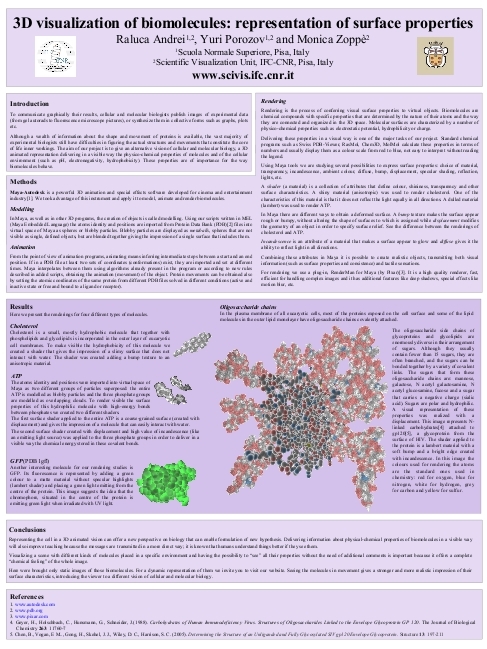 15th Annual International Conference on Intelligent Systems for Molecular Biology – 6th European Conference on Computational Biology. 21 – 25 July 2007, Vienna, Austria. Visualization of moving biomolecules: a new approach based on professional 3D animation software. Nettab 2007. Network Tools and Applications in Biology. 12 – 15 June 2007, Computer Science Department, University of Pisa, Italy. 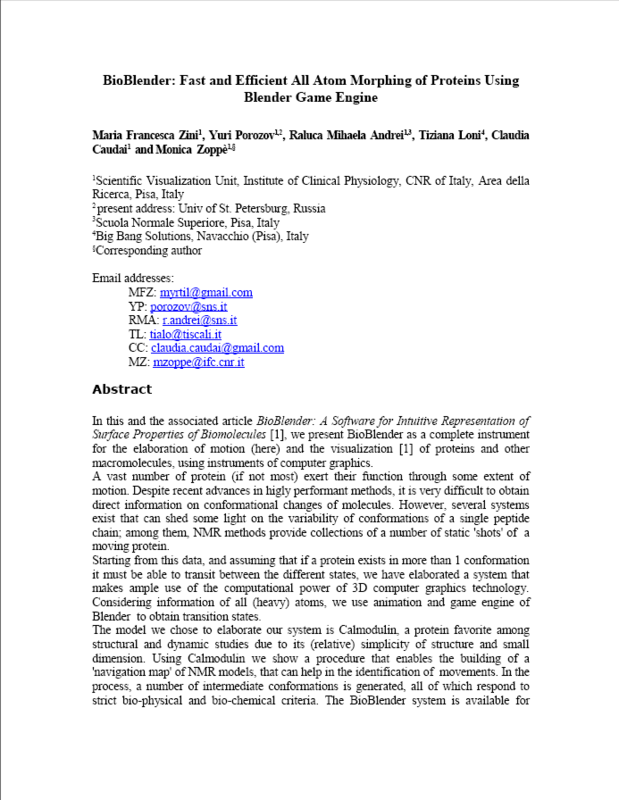 Visualization and modelling of moving biomolecules: A new approach based on professional 3D animation software.